The Coronado Veterinary Hospital team of skilled veterinarians welcomes you to our practice. Proudly serving the Sierra Vista area. At Coronado Veterinary Hospital, it is our daily privilege to provide quality vet care to your cherished pet, with compassion and competence. We hope to ensure a positive impact on our patients, pet owners and the local community. 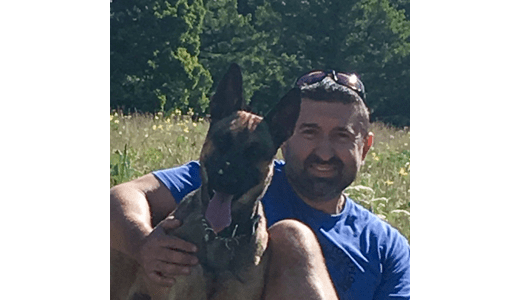 Dr. Lou Solonynka joined Coronado Veterinary Hospital full time in August of 2017. Dr. Solonynka received his Doctorate in Veterinary Medicine from Texas A&M’s College of Veterinary Medicine in 2002. His undergraduate work was completed at the University of Nebraska, Mira Costa College and West Texas A&M. 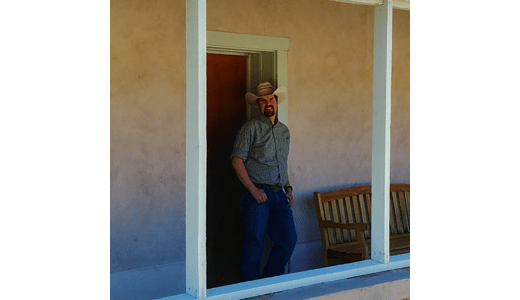 Dr. Solonynka grew up in Nebraska and Texas but has practiced companion animal, equine and emergency medicine in several Western states and New Zealand. He brings that wealth of knowledge and practice experience with him to Coronado and is enabling us to re-introduce some new service lines, such as orthopedic care, into the community. Dr. Lou, as most clients call him, his wife Ashley and their dog Z are all really enjoying the area. They love being outdoors, hiking, camping, mountain biking and exploring Southern Arizona. Dr. Restey has 18 years of experience in veterinary medicine and is a graduate of the University of Pennsylvania. 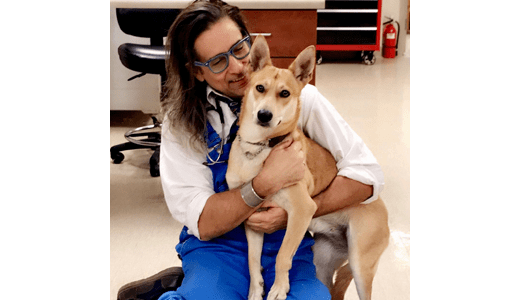 He was trained in the full spectrum of Traditional veterinary medicine and surgery for animals and his practice includes: dogs, cats, exotic animals, pocket pets, and horses. He is trained in traditional western medicine along with acupuncture and veterinary medical manipulation (chiropractic), herbs from the Chinese, Ayurvedic and Western traditions. Dr. Restey believes that healing is often a complicated process that involves an unpredictable combination of factors, events, and energies. His philosophy uses science and honors the spirit. Dr. Lance Parker is originally from northern Utah. Growing up he worked in his father’s electrical business. His love of animals started at a young age and he has had multiple horses, cows, dogs, and cats throughout his life. Currently he has a beagle named Max and a cat named Oreo. Dr. Parker attended Brigham Young University-Idaho where he received a bachelor’s degree in Animal and Veterinary Sciences. While at BYU-I, he met his lovely wife and they have been married for over 9 years, have three daughters, one son, and are expecting their second son. Dr. Parker attended veterinary medical school at Washington State University. His interests include small animal, general medicine, and surgery. He worked in rural Devon, England for 5 years, working with dogs, cats, horses and cattle, before setting up his own clinic in the Peak District, England. The clinic grew from 2 doctors to 5 over 15 years and during that time Dr Lewcock concentrated on looking after mainly dogs, cats and pocket pets (with the odd bird thrown in for good measure). His main veterinary interests are medicine and soft tissue surgery. 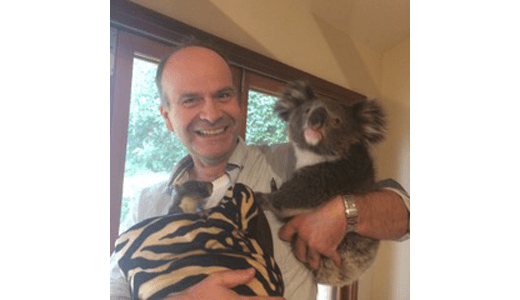 After selling his clinic he decided to pursue his dream of working Stateside, while waiting for his visa he took the opportunity to work in Australia looking after the local wildlife as well as the more familiar pets. He was able to work with a Koala Bear rescue while in Australia. Dr. Lewcock is very excited about joining the Coronado team and is looking forward to becoming part of the Sierra Vista community. Outside of work Dr Lewcock is a keen (but slow) triathlete and intends on completing the Arizona Ironman in 2019. He is competing in the Death Valley Marathon that year as well. He holds his UK private pilots license. He loves to fish and camp and can’t wait to explore Southern Arizona, its wonderful scenery and wildlife.